Yoga Therapy merges Western understanding of anatomy, physiology and mind-body psychology with ancient Eastern Yogic practices. Yoga Techniques, such as postures, breath work, and meditation, are personally tailored to address your individual needs – no two people are the same, and therefore no two therapeutic treatments are the same. Yoga Therapy assists individuals with physical, mental and/or emotional imbalances return to optimal health. Creating awareness is the first step to cultivating change in your body and mind. Through deepened awareness and increased knowledge, you become empowered with the skills necessary to transform and heal your body, mind and spirit, reducing your need to rely on external influences, such as medications. 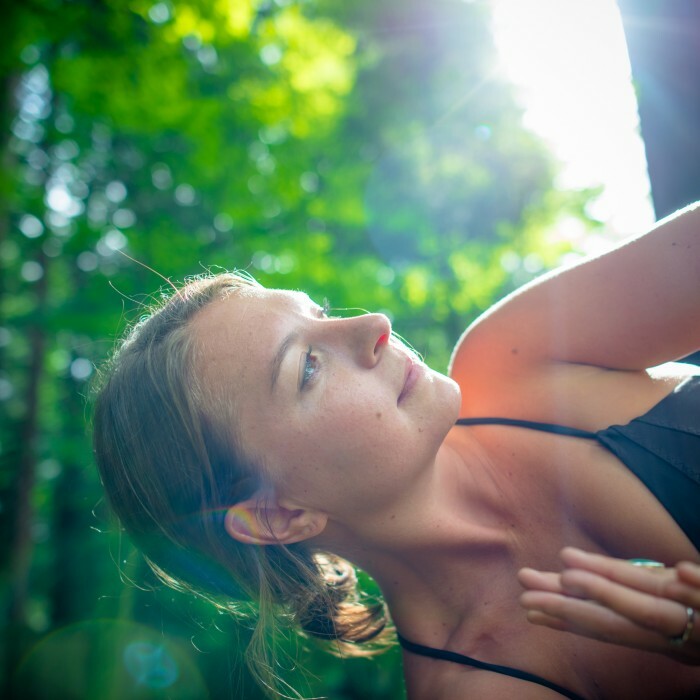 As a holistic approach to healing, Yoga Therapy recognizes the interconnectedness of your emotions, thoughts and body; there is no separation between your body, mind and spirit. Therefore, what happens to the mind also happens to the body and spirit – if something is affecting you mentally, it is likely going to show up physically as well. For example, you may feel pain in your physical body from increased tension, which stretching and massage has only helped temporarily. The temporary relief these treatments provide may be because the pain you are experiencing in your body is not caused by issues in your physical body, but rather a result of emotional or mental holdings. Feelings such as anxiety, fear, anger or sadness can manifest as physical tension and the only way to alleviate the tension is to address the source. There is no specific timeline or recovery time – healing is based on your readiness to make meaningful change and stay committed to the practice. explorations into emotional and mental states through dialogue and visualizations. Private Yoga Therapy sessions are between 1-1.5 hours long. After an initial intake and physical assessment using the Integrated Systems Model (ISM), Chelsea tailors the sessions specifically to your needs, while ensuring your safety and support throughout the experience. Integrated Systems Model Yoga Therapy focuses on determining the root cause of the issue (the driver), and developing a yoga program based on the assessment so that we can get you back to doing what is meaningful to you sooner rather than later. Working one-on-one, you have the benefit of a practice created specifically for you that includes physical postures, breath work, and/or meditation and visualizations. Through a collaborative effort between yourself and Chelsea, you will go home with a home program that will empower you with the knowledge and skills necessary to continue your healing journey. In additional to the physical component of yoga therapy, private yoga therapy can include mind-body counseling. Through dialogue and visualization, we begin a deeper exploration of mental and emotional holding and trauma that might be stored in the body. There is no recipe for healing and often lasting change requires consistent effort. A minimum of 4 one-on-one sessions is recommended, though not required. 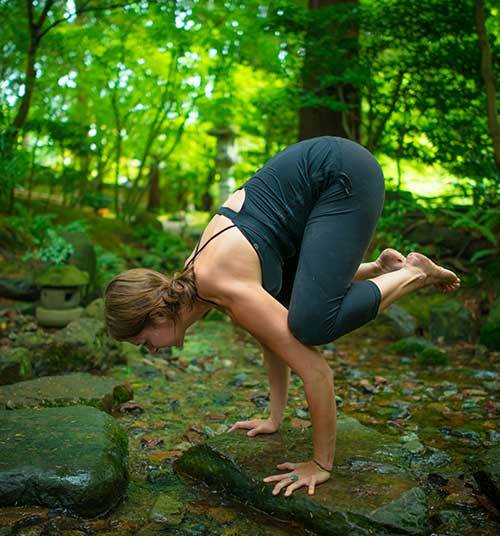 Chelsea Lee Yoga Therapy (Squamish, BC). Diane Lee and Associates, Physiotherapy Clinic (South Surrey, BC). Phone 604 538 8338 to book an appointment. Therapeutic Yoga Classes are beneficial for those that need a little extra attention and support than is provided in an all levels drop-in yoga class. Chelsea offers a Structural Alignment therapeutic yoga class at Diane Lee & Associates Physiotherapy Clinic. A private yoga therapy session with Chelsea is required prior to attending the group classes. This gives her the opportunity to connect with you and complete an assessment so as to provide you with the most support during class. Class size is limited to 8 students, creating an intimate setting with lots of personal attention, while still providing the sense of community that isn’t available during private sessions. Structural Alignment yoga focuses on cultivating optimal bio-mechanical techniques through various postures. This practice will involve dynamic movement while moving at a slow pace. Patients will be able to enjoy the community of a group class and still have their individual structural and mechanical strategies addressed. Phone 604.538.8338 to schedule your initial Yoga Therapy session, or register for classes.